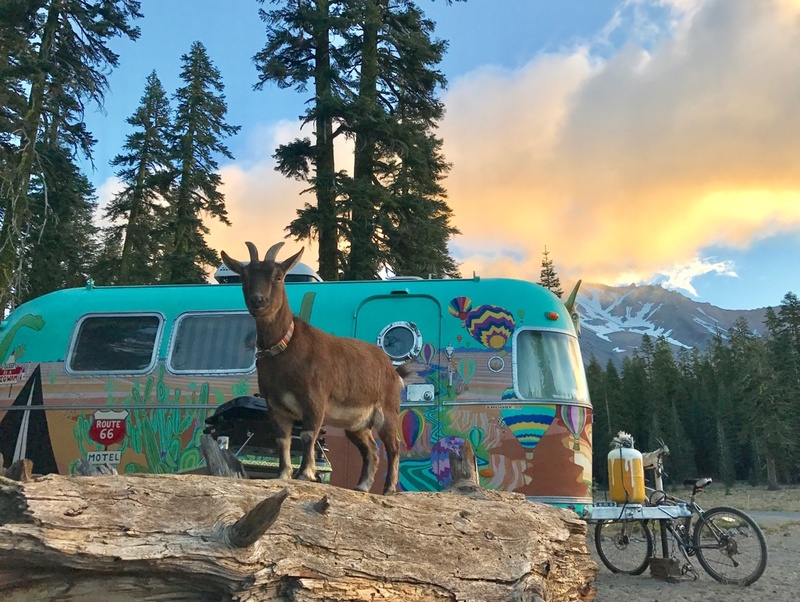 When we rolled into Shasta City, the place we had planned to boondock had recently changed to “Day Use Only” and we needed a plan B fast. We tracked down the local Ranger Office, they had just closed for the day and were taking down the flag. Luckily, the very nice Ranger lady was accommodating even after hours and gave us some helpful camping tips. She pointed us to Sand Flat, a dispersed camping area 11 miles up the mountain. We finally found the Lower Sand Flat turnoff and carefully picked our way up the rocky NFS road. The road was much rougher than we had expected so we stopped and walked up a ways to determine if it was even passable. We decided to go for it. 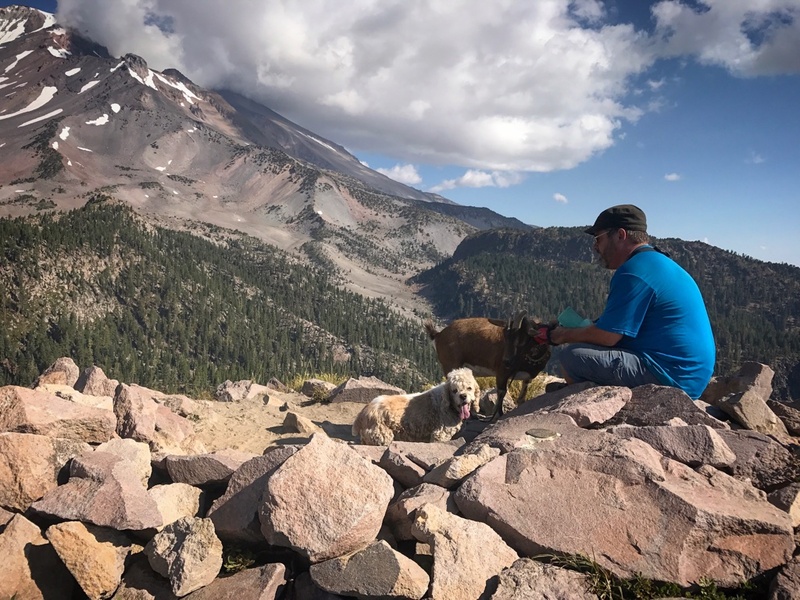 We got back in the car and continued on until we came around the bend, and towering directly above us was the summit of Mount Shasta. 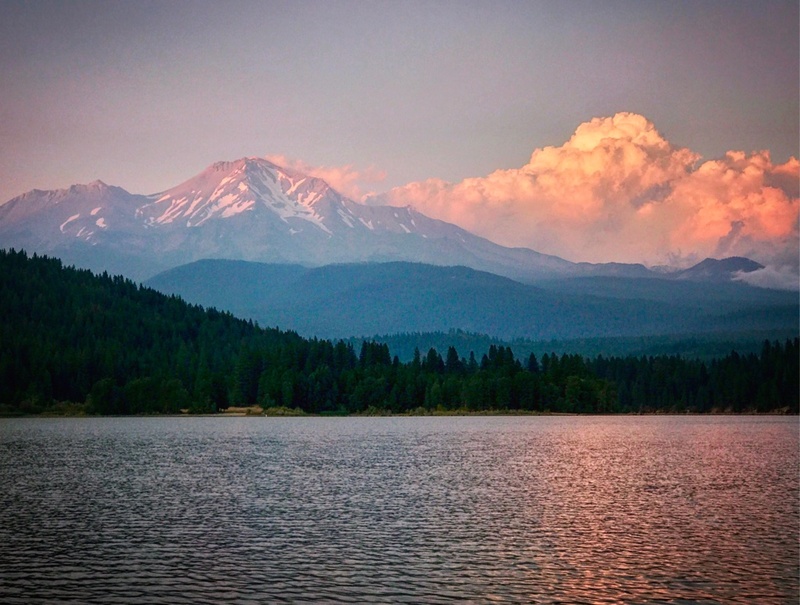 The snow capped mountain rises to 14,149ft and is a potentially active stratovolcano whose last eruption was in 1786. 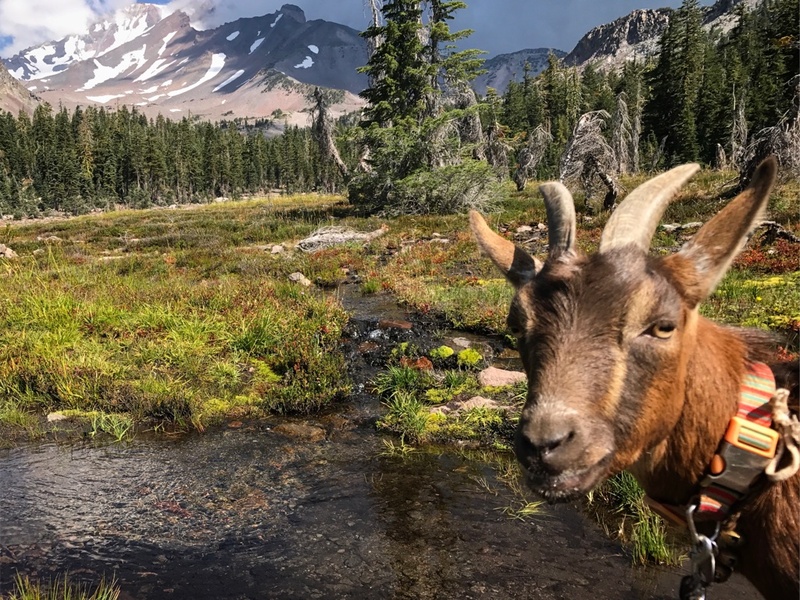 This mountain is massive, and much like Mount Rainier, it’s size greatly surpasses any other peaks or ridges nearby, making it a striking landmark in the region. Once we set up camp, Chad went back to town to gather supplies while I stayed to watch the sunset. This would be the first of several amazing sunsets and sunrises that week. The next few days we explored the area and found some great pet friendly hikes. If you follow the road up the mountain, the Grey Butte trailhead starts at the Panther Meadows Campground. 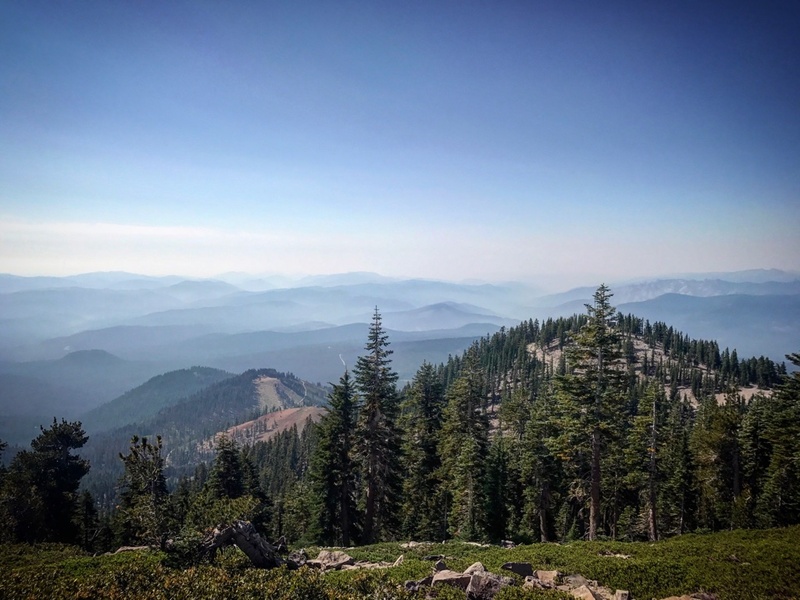 This 3mi trail winds through an old Red Fir forest to the top of Grey Butte and provides 360 degree views of Shasta, Black Butte, and the Southern Cascade Range. 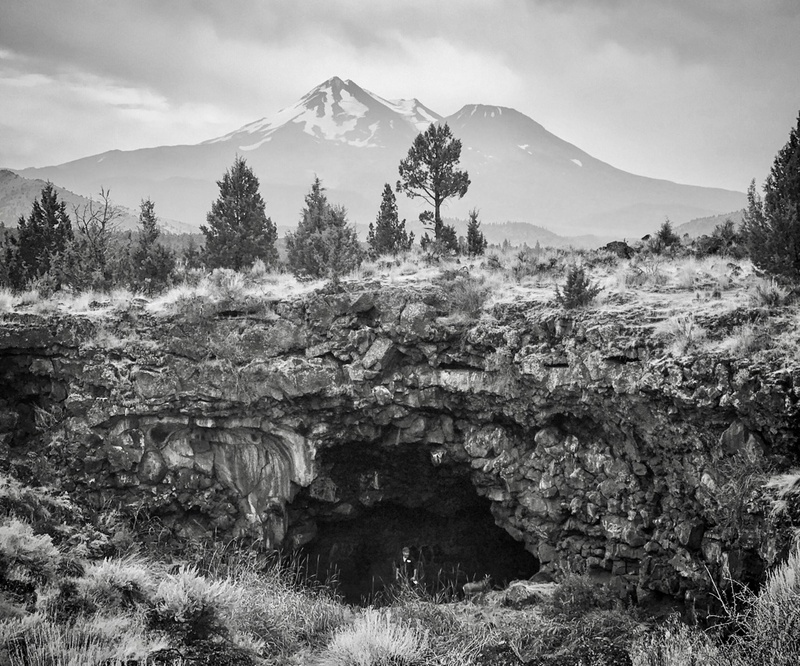 After our morning hike at Grey Butte, we decided to check out McCloud, a neighboring town southeast of Shasta City. 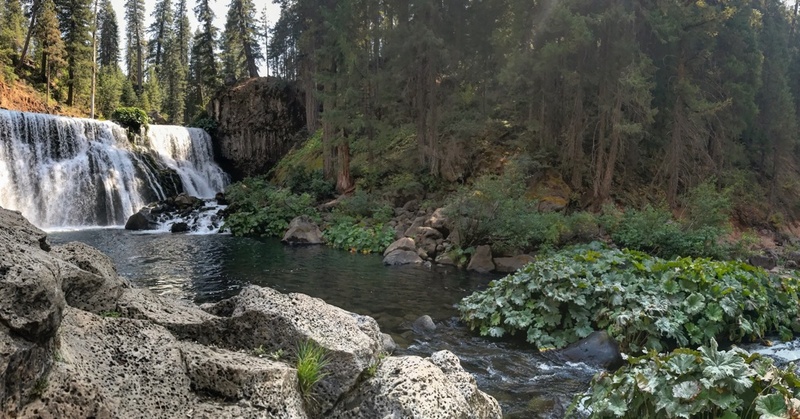 We hiked down to McCloud Falls, a series of three basalt columned waterfalls along the McCloud River. Maggie swam and Frankie rock jumped-both their favorite things! 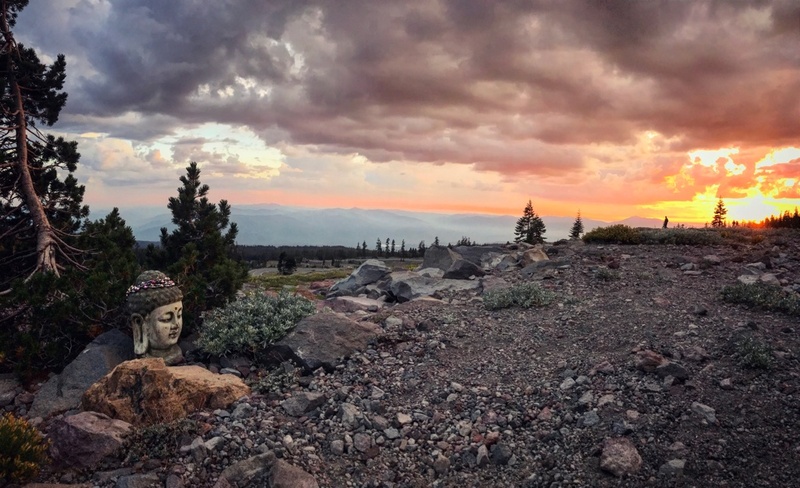 At the end of the day, we drove up Mount Shasta till we hit the end of the road and watched the sunset to the sound of drums and didgeridoo….namaste y’all! 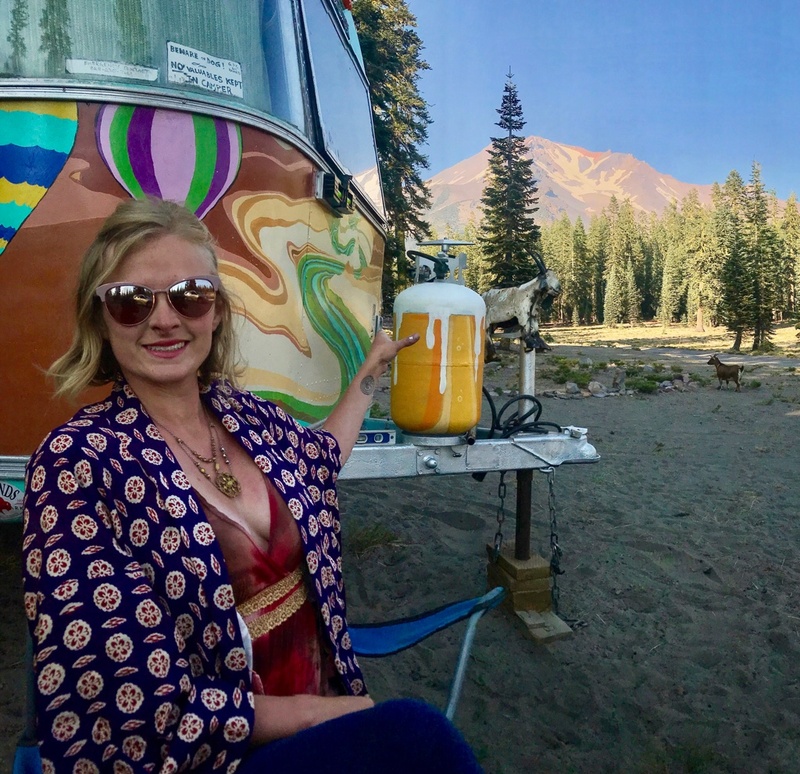 The following morning we awoke to the chatter of a dozen strangers gathering next to our camper striking yoga poses…Turned out that they were on a Shasta vortex tour (that’s really big around here), and they took the large circle of rocks around our fire pit as a sign. They were seeking a Buddhist shrine that was supposedly near our location. We people-watched over coffee, and then made our way to Castle Lake, a gorgeous alpine lake not far from town. 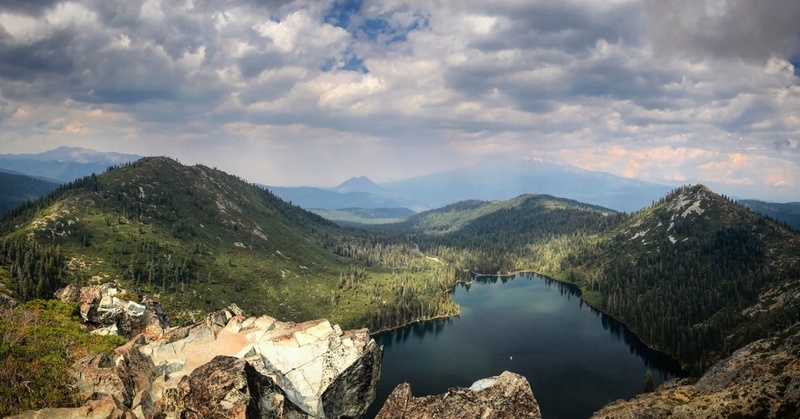 From the lake, we hiked up the mountain to Heart Lake (which is more like a glorified pond) but boasts amazing views of Mount Shasta and Castle Lake below. This hike was one of our favorites of the entire trip! We decided to have an apres-hike beer at Shasta Brewing in Weed, CA- a few miles north of Shasta City. 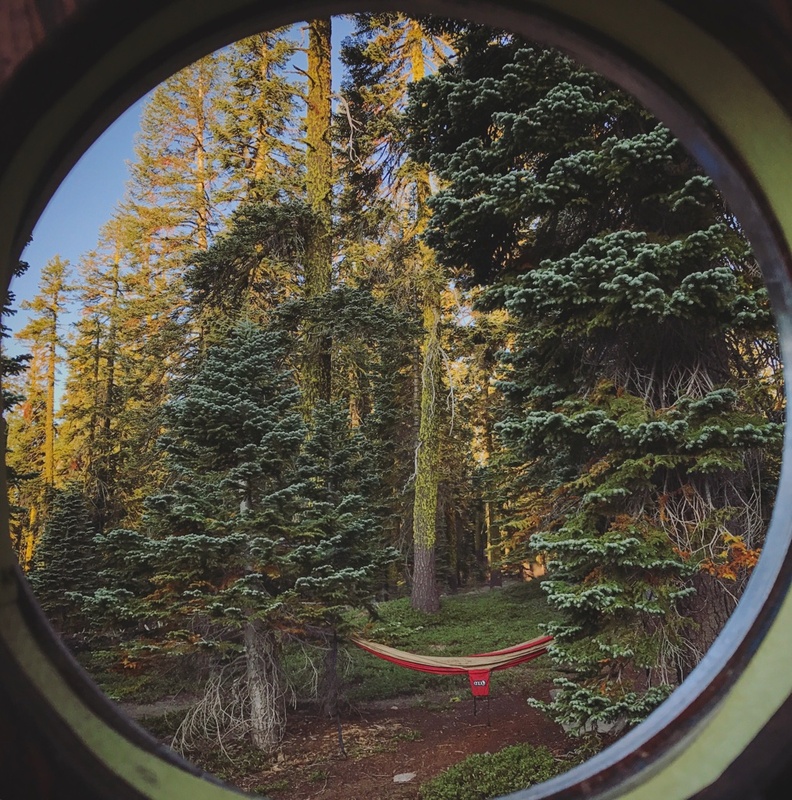 This is a cool spot one of our followers suggested to us…and much needed after the short but strenuous hike at Castle Lake. 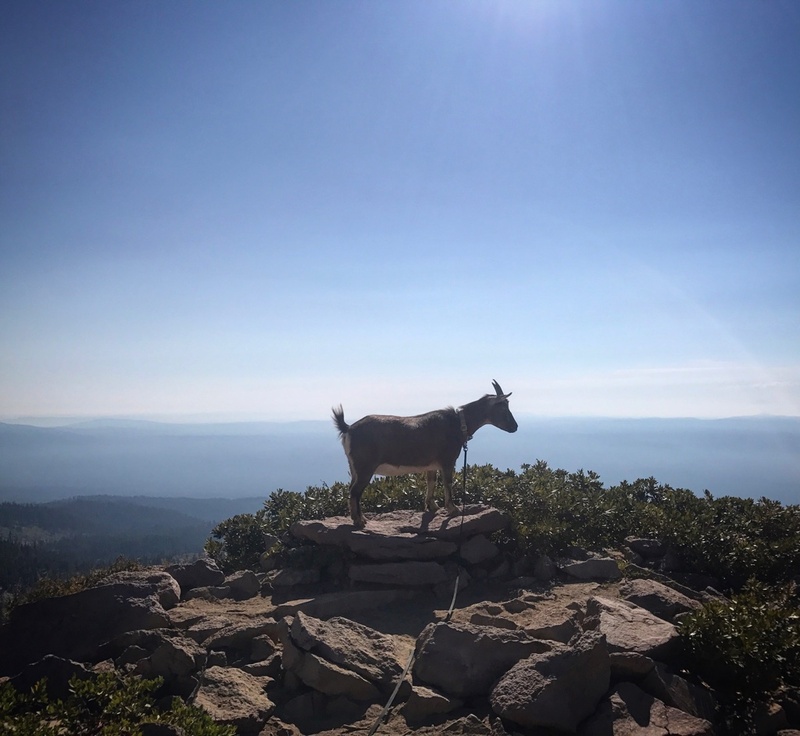 We got the lowdown from the staff about the area and they were thrilled to be visited by a goat! 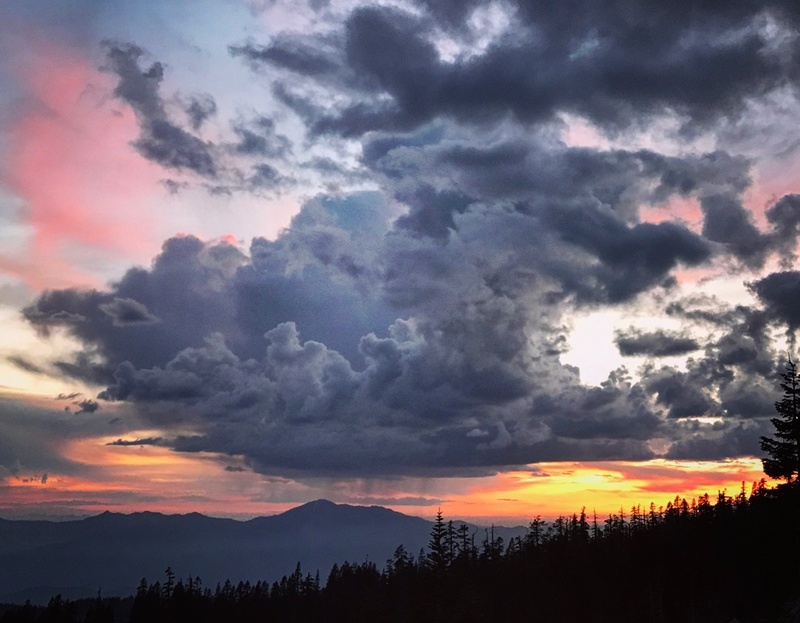 It was nearing sundown so we headed to Lake Siskiyou to watch the sunset. We didn’t have the $2 in cash it costs for beach access, but the nice lady let us through anyways and we got there just in time. 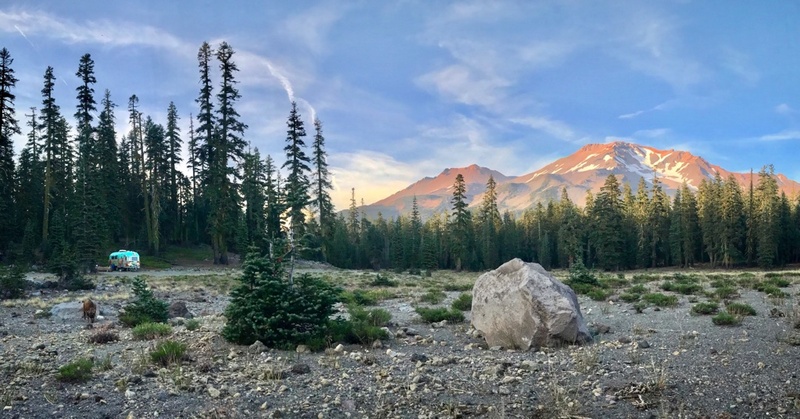 For photographers, this is probably the best place to shoot a reflection shot of Mount Shasta in the area…and after Labor Day weekend, the place clears out and you have the place to yourself. The third night we were there, I awoke in the middle of the night to a strange light moving around the horizon . Could it be the mystical Lemurian people below Mt. Shasta? Aliens? Or perhaps my eyes or the atmosphere playing tricks? I gazed in silence as I photographed and videod what I was seeing to reassure myself I wasn’t infact crazy and eventually woke up Chad. At first he didn’t believe me, but upon further observation, he also saw the strange movement of light. 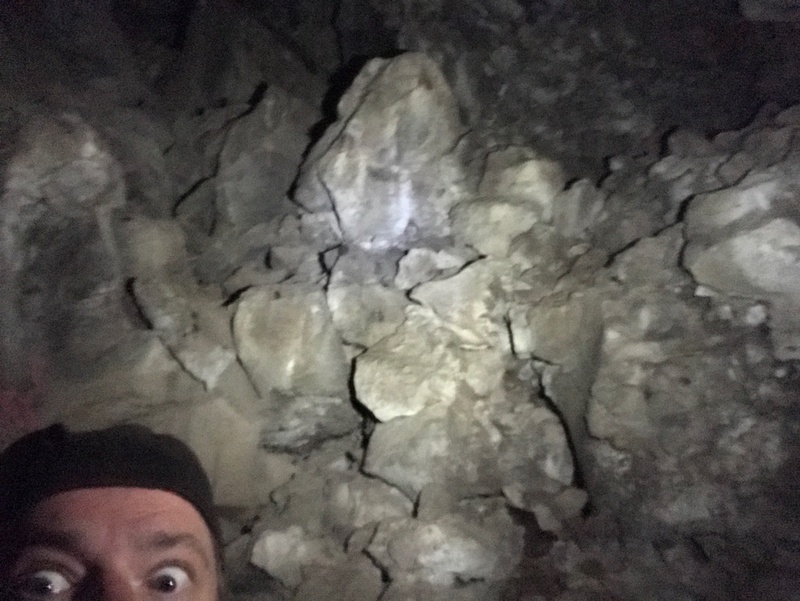 Chad’s convinced there is a scientific explaination….but I’m sticking with Aliens! 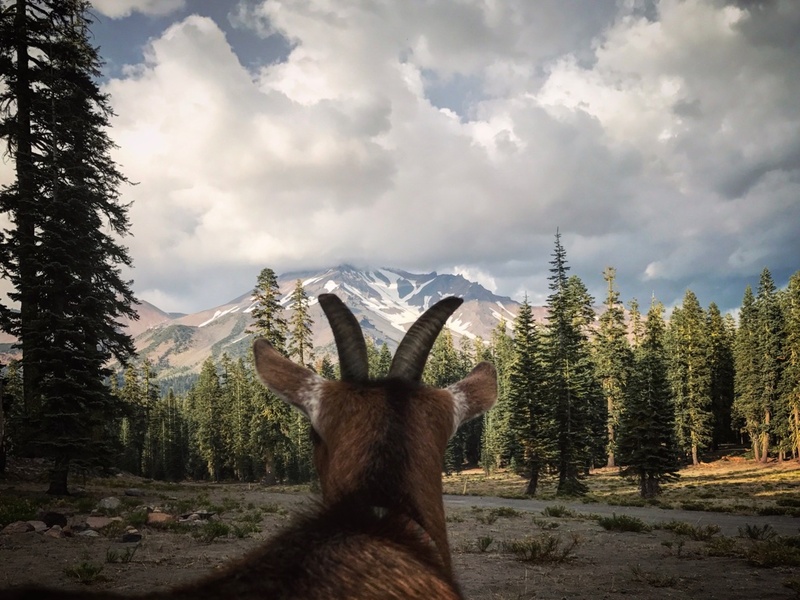 While in Shasta, there were several places we wanted to go, but couldn’t for multiple reasons. Just about an hour east sits Lassen Volcanic National Park and Burnell Falls, but due to heavy smoke from the forest fire and National and State park pet restrictions- we opted out. 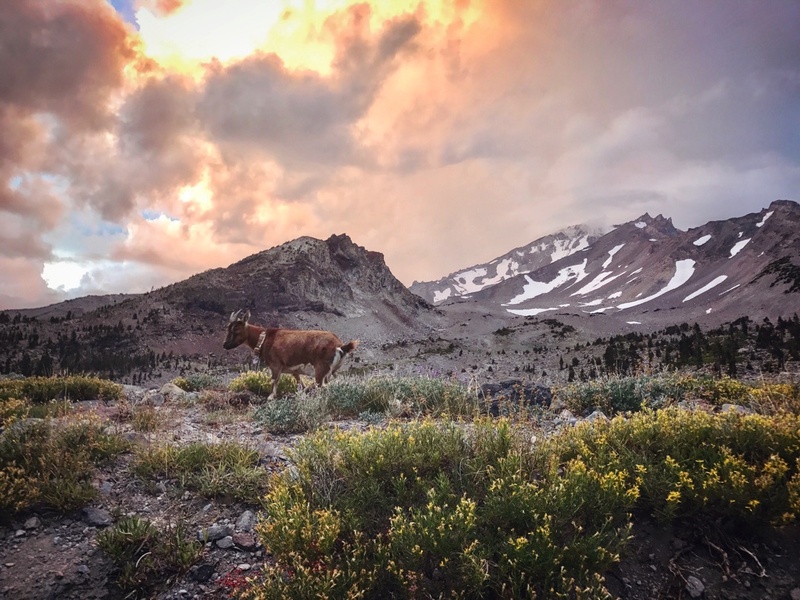 We will check out Lassen, Burnell, and Castle Crags sans animals next time. However, on the north face of Mt. 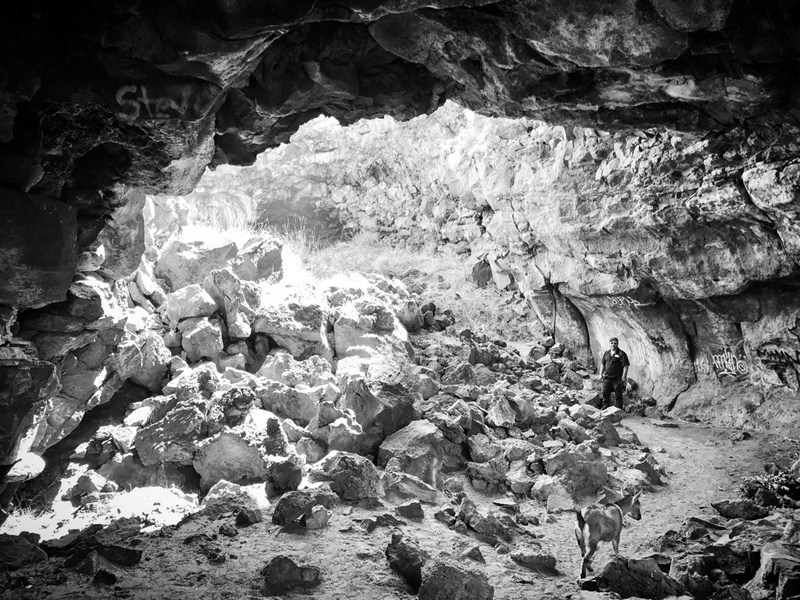 Shasta we found Pluto’s Cave- an ancient lava tube open and free to the public. 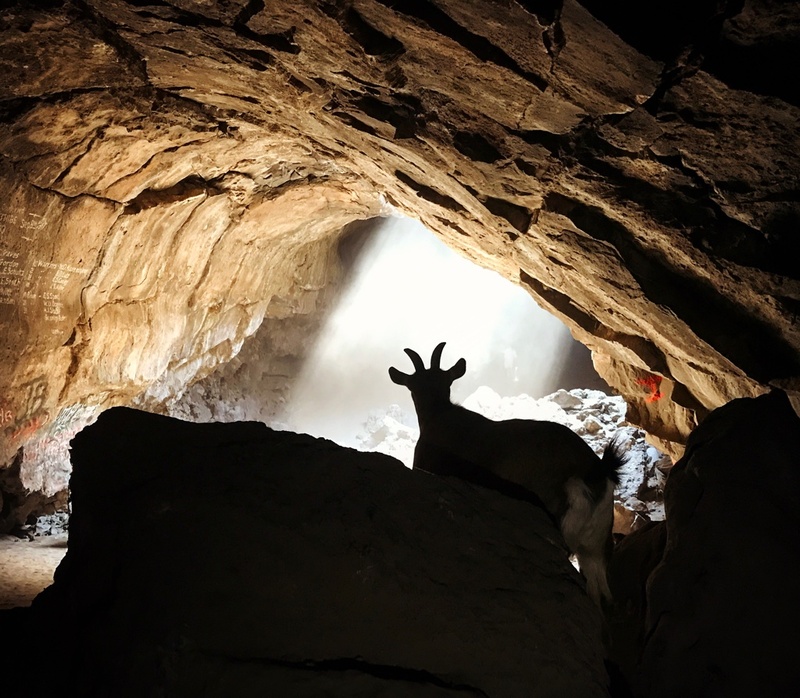 With flashlights in hand, we followed the trail down into the cave. This place is AWESOME. 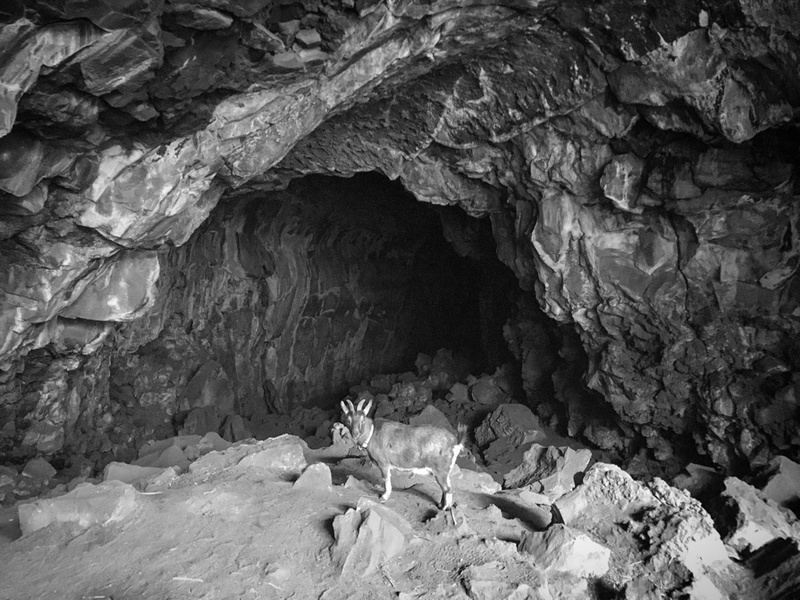 But about a mile into the hike, the dust was too rough on my lungs and the rocks proved too large for the animals so we called it a day. 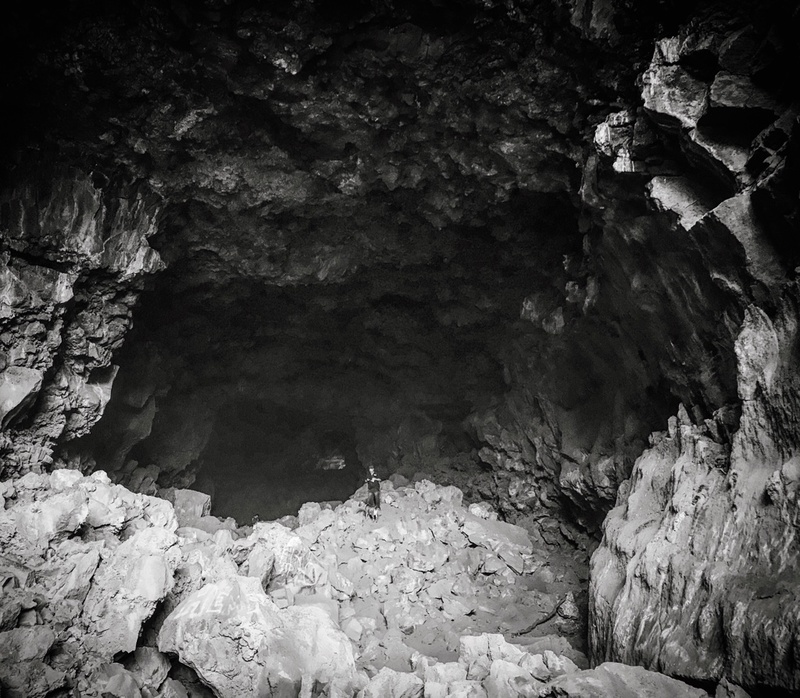 We highly recommend this trail, even if you just hike the first half mile, it’s very neat- just remember to bring a flashlight and a mask/bandana for your face. 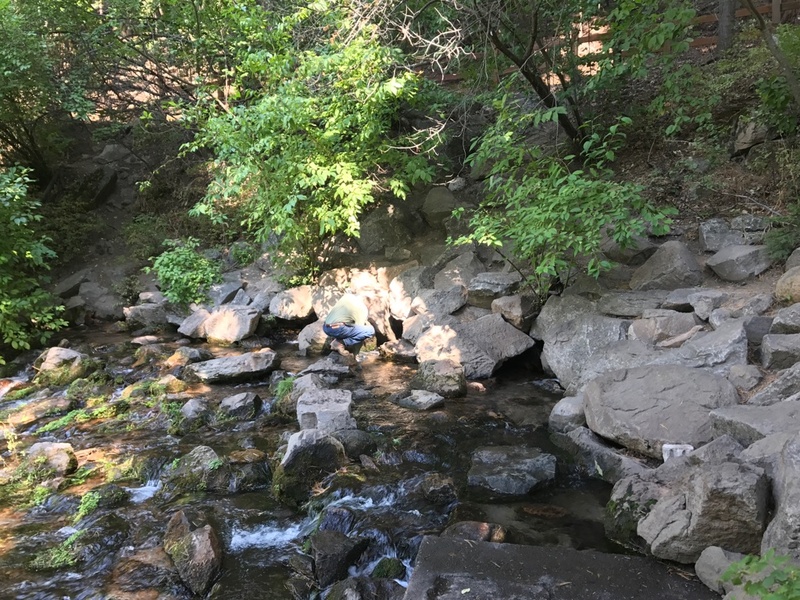 After the hike, we brought our water jugs to fill up at The headwaters of the upper Sacramento River in Shasta City Park. It’s unbelieveable how much crystal-clean water pours out of the mountainside! Afterwards, we hit up Handsome John’s Speakeasy on Chestnut St in downtown Shasta City. This is a cool joint with a goat-friendly patio and cheap drinks. Frankie was kind enough to help mow their grass! Throughout the week we were greeted by a few local followers of our blog. It was nice putting a name to the faces and because we are almost always in the middle of nowhere, talking with other humans is a breath of fresh air. (NO offense, Frankie) Nice meeting you, Roberta and Guy! We have really lucked out meeting awesome folks along our travels. On our last day, we opted for solo-time. 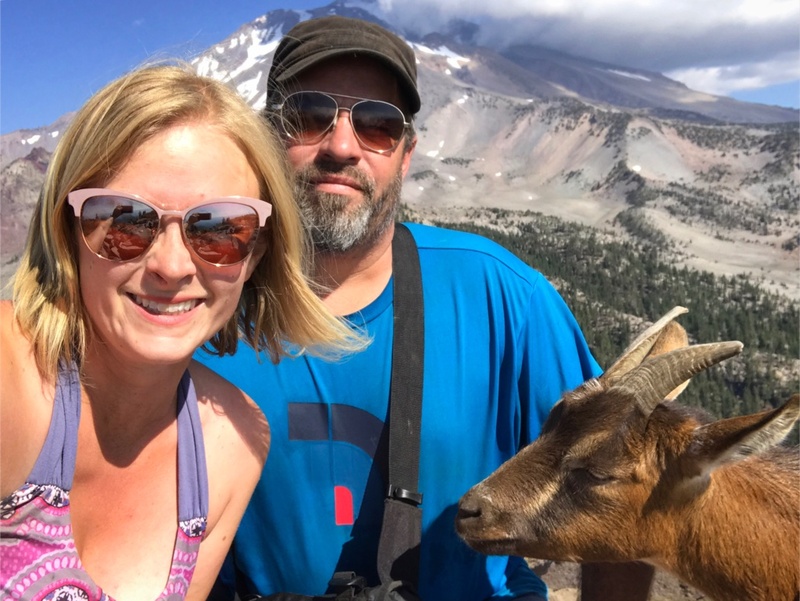 Being a couple living full-time on the road- these moments are few and far between so it’s important to dedicate time so that we can each do our own thing. Chad wanted to finish the cave hike and I chose a paint day. Maggie and Frankie stayed at camp with me and offered their modeling services. Besides the painting I made, I also got around to painting the propane tank…..now we will never run out of beer! Later on, we cooked up a delicious fish dinner and started planning our next move-Grants Pass, Oregon. 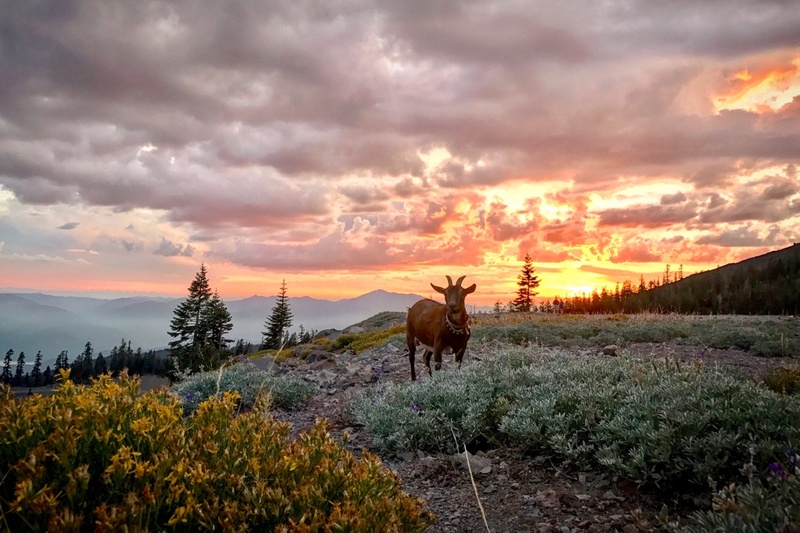 After our 30,000 mile trek around North America, and feeling out many potential towns, we narrowed our choice for our next home base to Grants Pass in southern Oregon. 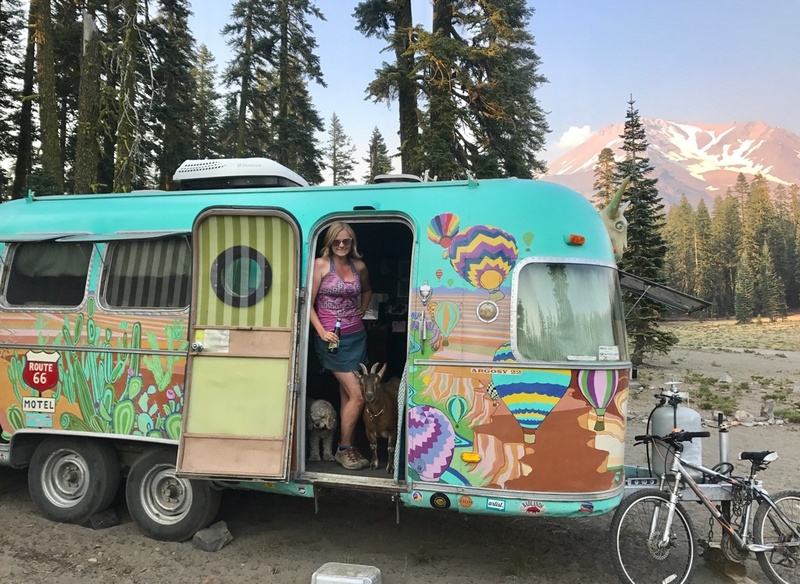 Though we will continue to be fulltime in our Airstream, most of our travels will be regional as we settle into our new community. 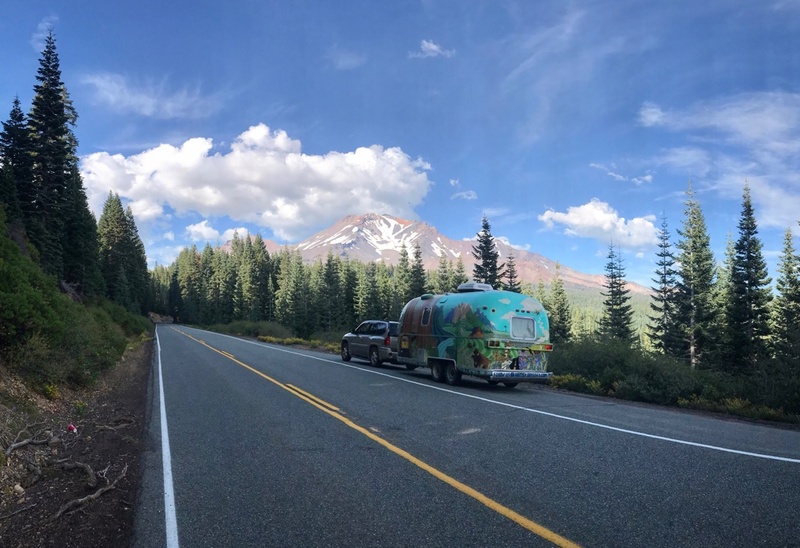 We enjoyed our last chilly night on Shasta and hit the road the next morning. Shasta la Vista, baby- till next time! I so enjoy your travels and photos. You are quite the artist too! thanks for joining our journey Julie! Very much enjoy your story and adventure in the natural world. Especially I just wonder how you can find camping ground for a long time boondock camping! I’m so glad to find your blog. Lake Shast area is beautiful. Thank you for the lovely reminder. I love following your travels, and your pictures are beautiful! 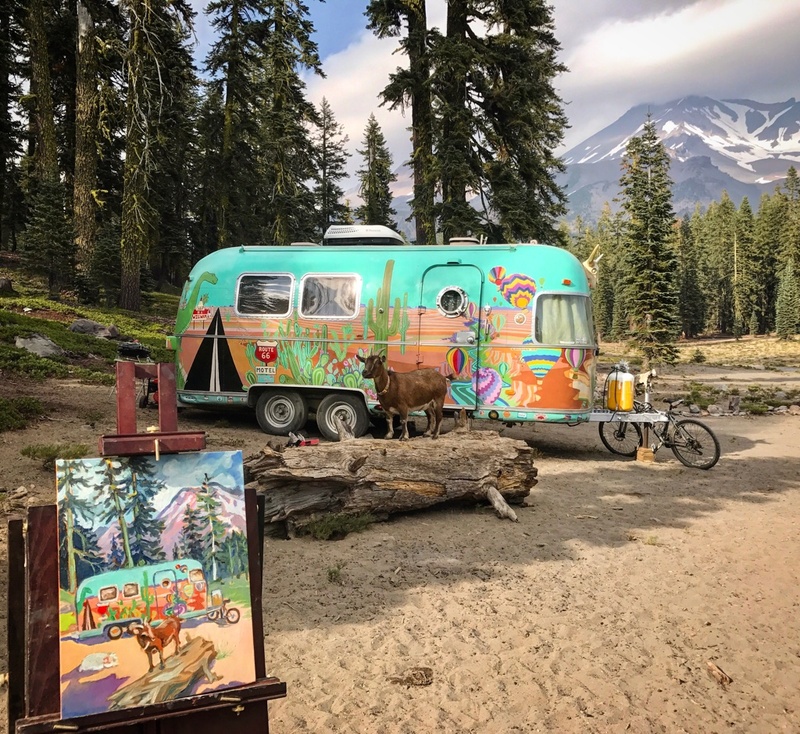 Did you paint your trailer? I got my 25′ 1995 Aerolite a little over a month ago, and it is a blank canvas. 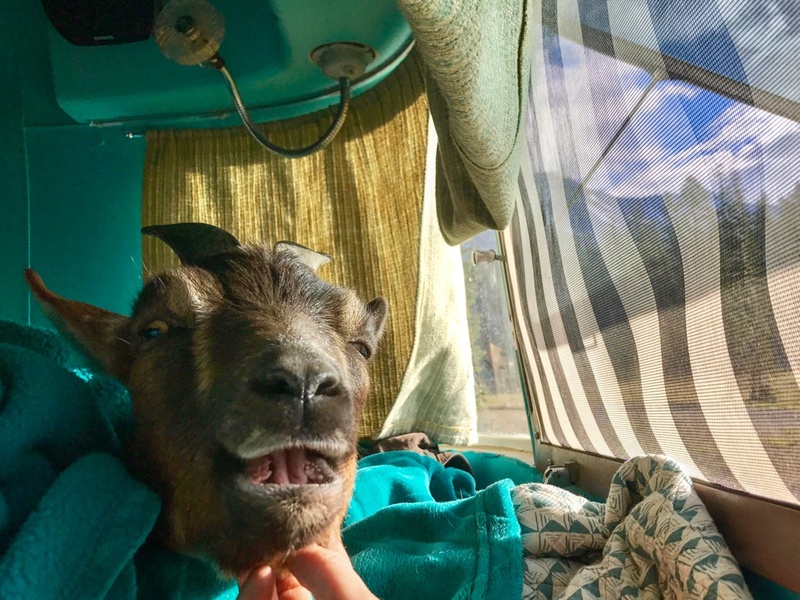 We live in an RV too, and I love to drink goats milk, that is about the only kind I do drink. But how do you transport the goat, and what if any problems have you had doing it? 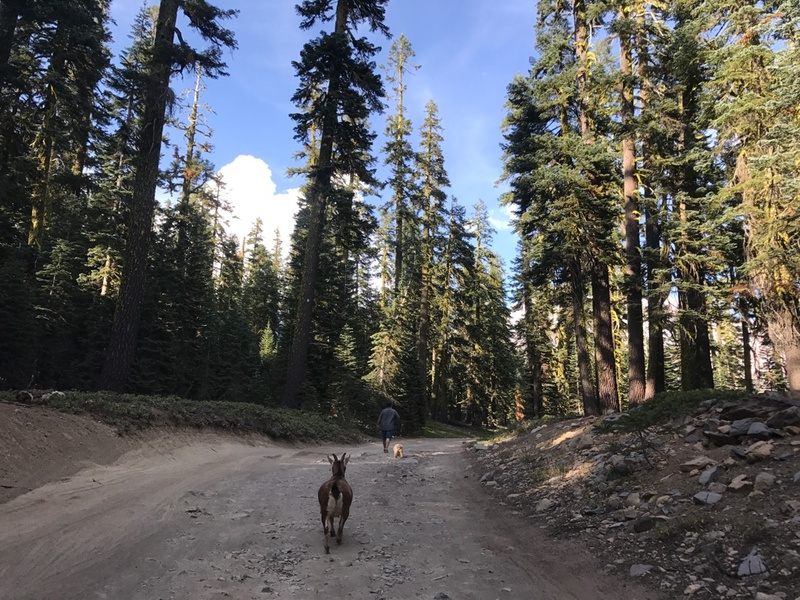 I have raised goats, so I know the drill, but taking one on the road is a new one to me and my wife. Frankie sleeps in the backseat with her dog sister. When she’s inside the car or camper we make her lie down so she can’t use the bathroom. She’s a great traveler. je viens de découvrir vos voyages sur face book. c’est très beau et ce que j’aime le plus , c’est le fait de voyager avec vos animaux, surtout votre chèvre. Ne pas les abandonner. nous avions un bouc aussi, il était toute notre vie. lui aussi préférait la compagnie des humains plutôt que celle de ses congénères. nous avions envisagéune petite cariole pour lui, afin de l’avoir toujours avec nous, impossible de s’en séparer, pas de vacances alors. une question, comment faisiez lorsque vous rouliez avec votre chèvre pour faire ses besoins?